Imagine yourself biting into a sensuous beef slider in slow-motion. Your teeth penetrate the buttery, pillowy goodness of the lightly toasted bun. Your mouth gets misty as your teeth crunch through the crisp lettuce and sinks easily through the perfect ruby-red heirloom tomato. You shudder slightly as a flood of tomato juice spritzes your inner cheek. You pause for an almost imperceptible second before biting through the exquisitely charred shell to arrive at the perfectly seasoned sanctum of the medium-rare beef patty. You’re chewing, all the components of the burger are doing the slip and slide on your tongue. Flavor sparklers are bursting from the sides of your now enormous smile. Ooooh! Mommy my taste buds are getting their wish! THE RESULT: All your senses are in the throes of a burger rapture. 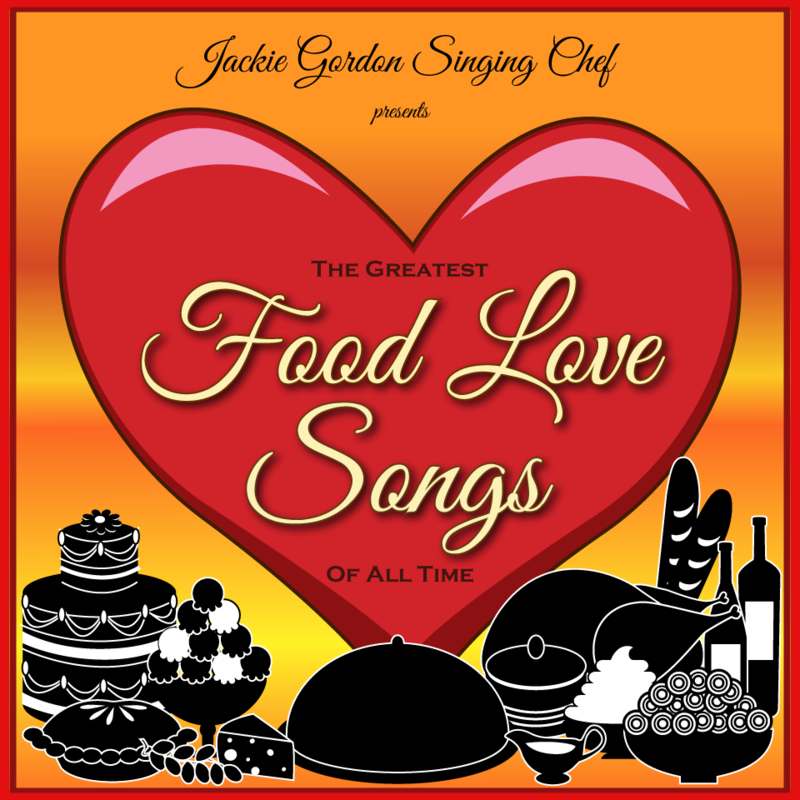 In the multi-sensory journey, Jackie Gordon Singing Chef Presents The Greatest Food Love Songs Of All Time, each delectable tune gets wrapped in delicious bite and sprinkled with wit and humor. A Cocktail Party Concept: The room is set with a bar and hors d’oeuvres stations for the guests to self-serve throughout the event. Jackie pairs signature appetizers with songs over a two hour period. A Dinner Show Concept: Jackie hosts a sit down, four-course dinner, introducing the first three courses each matched with a tune. She follows the dessert course with a full performance of songs. The Greatest Food Love Songs Of All Time Running Time: The event is flexible to your event needs.